Tickets for the Japanese American National Museum’s “Hello! Exploring the Supercute World of Hello Kitty” exhibition go on sale to the public Monday, Sept. 29, at noon PDT. Adult admission is $20; admission for ages 6-17 is $10; children 5 and under are free. All admissions will be based on timed entry and advance purchase is strongly encouraged. Tickets will be available online at http://janm.org/hellokitty. Individuals may purchase tickets for Oct. 11 (opening day) through Dec. 31. Tickets for “Hello!” in 2015 will go on sale Nov. 24; the exhibition runs through April 26. “Hello!” is the first large-scale museum retrospective of the iconic Sanrio character in the United States. The exhibition will combine an extensive product retrospective of rare, unique, and vintage pieces from Sanrio’s archive with an installation of 40 mixed-media works by contemporary artists. 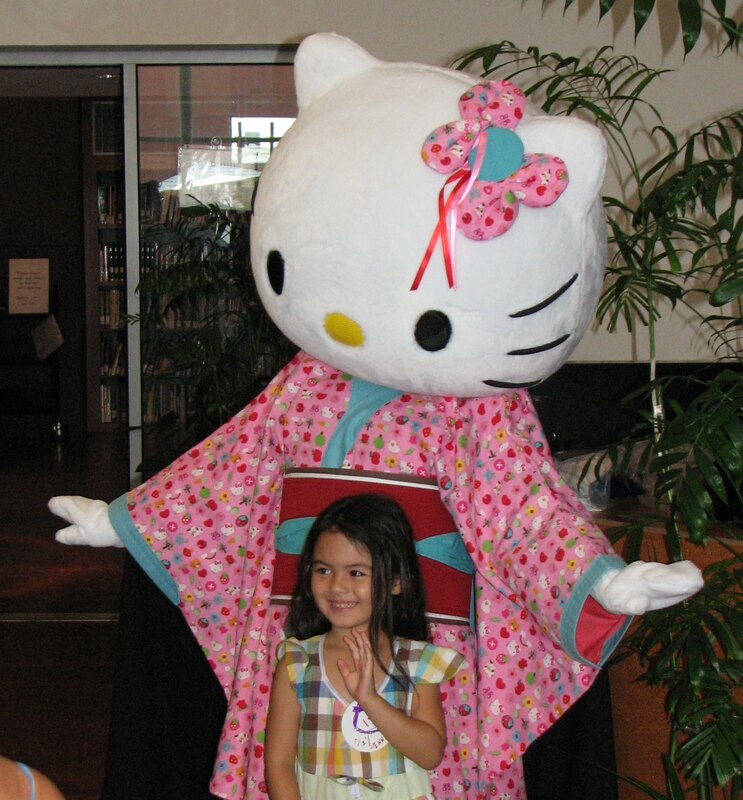 Hello Kitty first emerged in America in the 1970s as a decorative motif on children’s products imported from Japan. The products were primarily distributed in areas with significant Asian populations, such as Los Angeles’ Little Tokyo, where JANM is located today. Over the years, the character’s popularity gradually increased, capturing the imaginations of a diverse spectrum of children and adults worldwide. Today, Hello Kitty is a frequent celebrity accessory and subject of countless brand collaboration and artistic explorations. As her fame endures, she continues to represent a wildly successful bridge between eastern and western cultures. Christine Yano, Ph.D., a professor of anthropology at the University of Hawaii and author of “Pink Globalization: Hello Kitty’s Trek Across the Pacific,” is curator for the retrospective component of the exhibition. Her studies have focused on Japan and Japanese Americans with a particular focus in the construction of social identity through popular culture. Jamie Rivadeneira, founder and owner of pop culture-inspired boutique JapanLA, is curator of the contemporary art component. Rivadeneira previously curated Hello Kitty’s 35th anniversary exhibition as well as Sanrio’s 50th anniversary celebration. JAMN members receive free admission to “Hello!” as well as other exhibition-related benefits. To become a member, or upgrade an existing membership, visit http://janm.org/membership. “Hello!” is supported by Toyota Motor Sales U.S.A. Inc.; the Department of Cultural Affairs, City of Los Angeles; and Typecraft. The JANM exhibition is a key element among several events and collaborations celebrating Hello Kitty’s 40th anniversary. These also include Hello Kitty Con 2014, a convention at the Geffen Contemporary at MOCA, running Oct. 30-Nov. 2; new product releases, including limited-edition 40th anniversary collectibles; and Hello Kitty appearances around the globe in support of the “Share a Hug with Hello Kitty!” campaign. Further details on Hello Kitty’s 40th Anniversary celebration can be found at www.sanrio.com/hellokitty40th/. “Hello!” will be open exclusively to Hello Kitty Con ticket holders on the four days of that event.